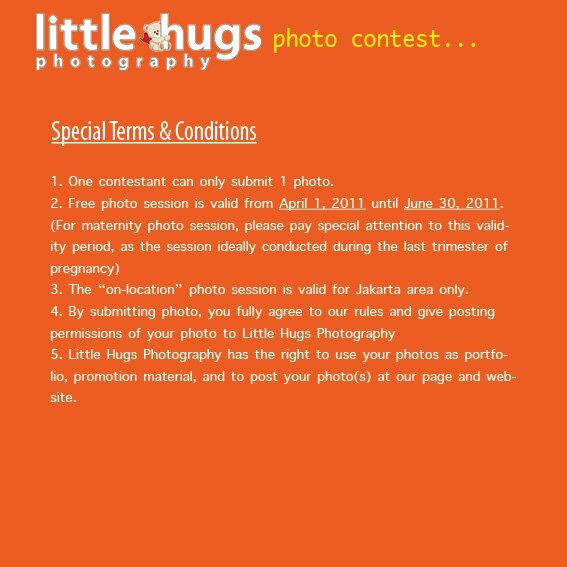 Join Little Hugs Photo Contest & WIN 1 (one) FREE photo session + 1 CD of 20 edited photos.. 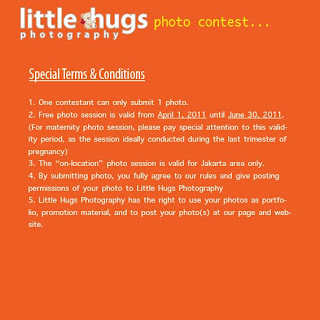 The contest will end on March 31, 2011 and the winner will be announced on April 1, 2011. 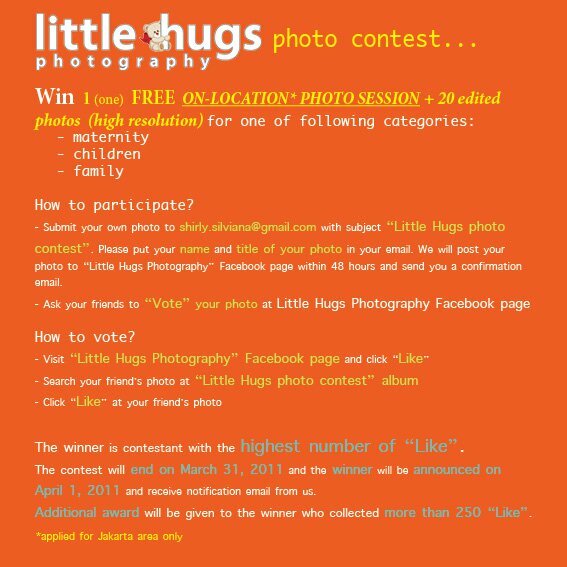 Additional prize will be given to the winner who collected more than 250 “Like”. It's wondrous what a HUG can do..
A HUG can say "I love you"
It must be why God gave us arms..
Little Hugs was inspired by the feeling I got when a 3 years old boy, my best friend's son, hugged me to say goodbye. Yup, it's so warm, and unforgettable. 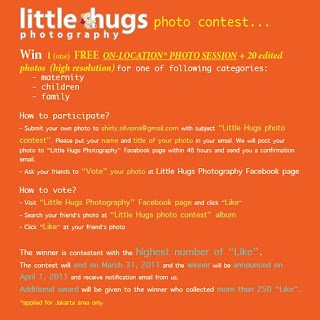 Just like a hug, especially from your little ones, we'd love to create images which cheer up your days, soothe your pain, delight, warm, and charm. Images which preserve the warm feeling, love, and precious moments with your loved ones, which you can look back with smile in the future. Invite us and we will be there to help you capturing your precious moments, the laugh, tears, personality and spirit of your loved ones.